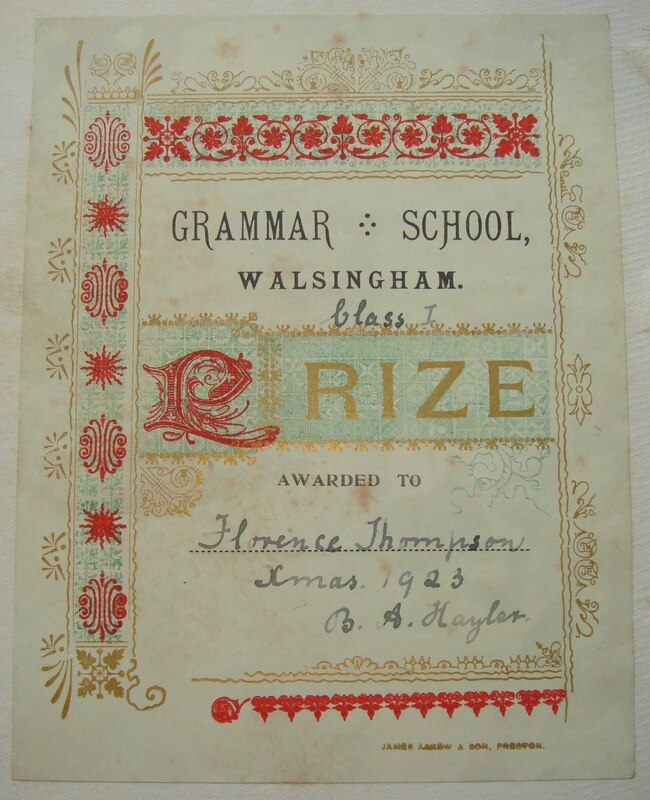 Florence Thompson in Class I was awarded this prize at Xmas time in what seems to be the end of her first term at Walsingham Grammar School, in North Norfolk. The more I’ve thought about this, the more I’ve been interested in the story of Florence. From doing a bit of research I know she was 9 years old at the time – she was born 10th May 1914 just before the Great War. What had she done to have received such a valuable prize at the end of her first term at Grammar School? I assume she must have done very well and shown a lot of promise. Perhaps this isn’t surprising given the survival and resilience required of those remarkable times. Many men from her part of the world would have gone to war and not returned or even succumbed to the Spanish Flu outbreak. This killed 5 times as many people as the war itself. What happened after she left school? After school it appears she married Frank Martin in 1938, after the depression just before the Second World War. Her husband is quite possibly the Frank Martin from the Royal Norfolk Regiment who died in 1943 as a Prisoner of War in Kanchanaburi – the death camp for the infamous Burma Railway. Without much further research it’s hard to tell the rest of her life other than the fact that she died in Norfolk in 1991. I hope she had a full & happy life and I hope her husband wasn’t the Frank Martin mentioned above. Remarkable times seem to create remarkable people and their effect, no matter how subtle, can last forever. 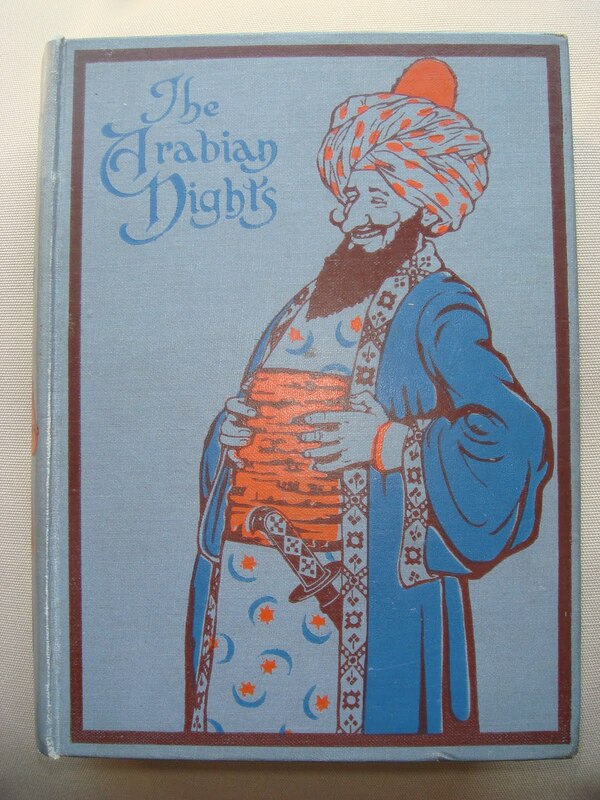 The book must have brought that 9 year old girl lots of joy in Xmas 1923. I’m proud to be its custodian and to share its joy.